My two wee girlies wanted pasta tonight, so I had to oblige. I defrosted a couple of salmon steaks from Lynas, this morning. At about 5 pm I boiled two handfuls of brown penne pasta in boiling water, sun dried tomato oil and Himalaya rock salt for 15 minutes. Whilst this was boiling I made the salmon sauce. First I heated my pan before adding a tablespoon of oil, then a handful of chopped basil, spinach and rocket. This was followed by the chopped salmon steaks, about 10 diced cherry tomatoes and a wed jar of tomato pesto. 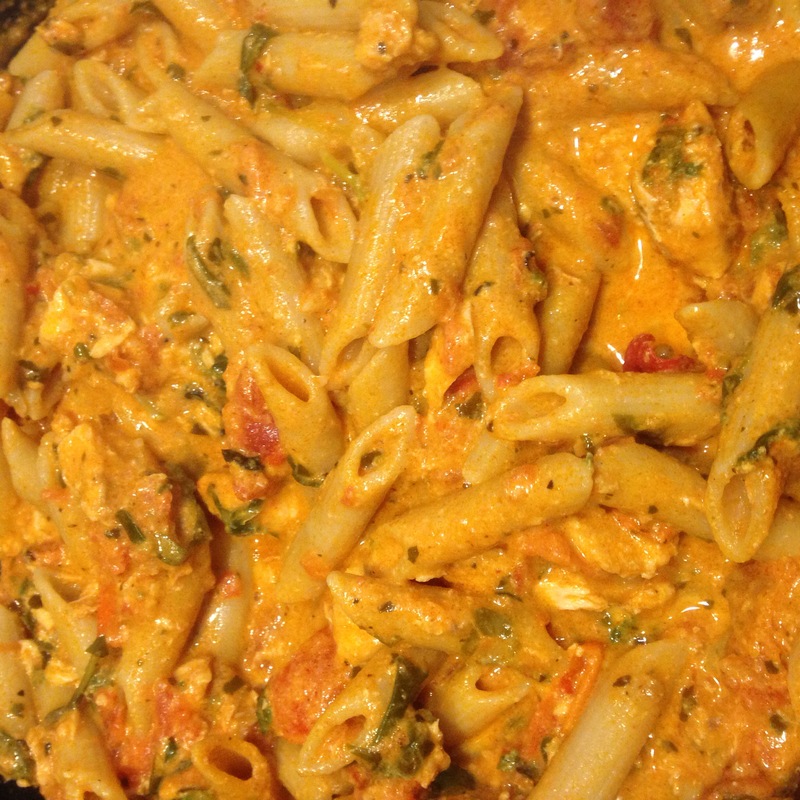 To finish I added a wee jar of cream and the cooked drained penne. Kids and I loved it, will u guys? Mouth-watering! But I see salmon steaks as such a luxury I wouldn’t do them as a pasta – they are so great on their own. For your recipe I would use tinned salmon. Does that horrify you? Des. Get you – with the family there is always compromise! Des.